At Marquis Precision Engineering we create high quality components to customer requirements in various materials. We pride ourselves on the quality of our products, our on-time delivery, our competitiveness and the fact that our customers return to us time after time. We have made components for the Eurofighter and F35 Joint Strike Fighter Jet as well as components which are now orbiting the Earth as part of the Hubble Space Telescope. 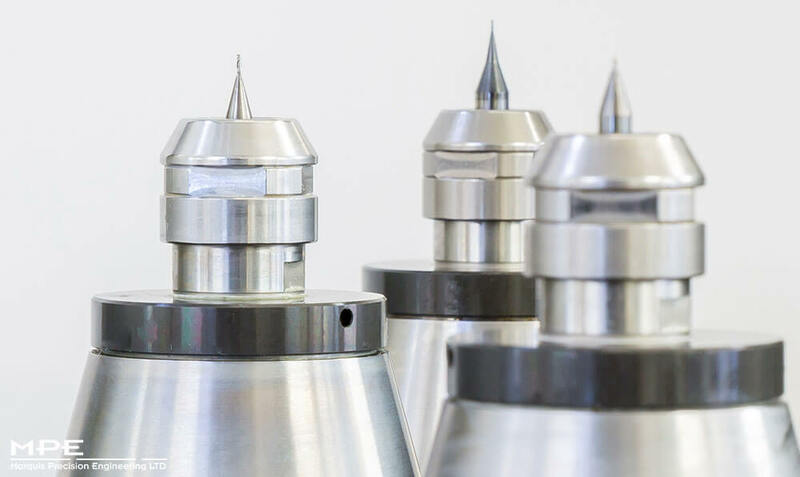 From start-up companies looking to create their first prototype to large, well-established names, we provide the highest quality precision-engineered components, working to the highest industry standards. From the first point of contact right through the production process, we work with customers using our contract review and quality management system processes to ensure every component we make is traceable, from raw material to the finished product. This ensures traceability, accountability and reliability throughout our entire workflow. The materials we work with include: aluminium, stainless steel, plastics, brass and copper, as well as controlled expansion alloys including: Kovar, Invar and various other high nickel alloys. We work with our approved suppliers who create finishes including: chemical conversion, anodising, nickel plating and gold plating. Marquis Precision Engineering recently celebrated its 40th year of trading. The company was started by Derek Brown and two others. During the 80s and 90s the company expanded with the growing telecoms market. Derek’s son Stephen Brown is the current Managing Director, and apprenticed with the company before leaving to work on other projects. He returned to the company 25 years ago and bought the business when his father retired in the early 2000s. Directors Matthew Darnell and Paul Moxham came on board and together the three have worked tirelessly to build a strong customer base. At Marquis Precision Engineering we pride ourselves on our customer care, ensuring that our clients are at the heart of everything we do and all the new innovations we are bringing to the company. A testament to this is that customers often recommend Marquis Precision Engineering to other companies and we are delighted to receive this word-of-mouth recommendation. But we won’t be found resting on our laurels! Marquis Precision Engineering is constantly looking ahead to discover the next ‘big thing’ in technology and innovation. This outlook led to our recent acquisition of our new Co-ordinated Measuring Machine for component inspections and our cutting-edge Erowa Automation machines – currently there are only a handful of these robots in the UK. The precision engineering industry is a fast moving one where innovations are constantly taking place. At Marquis Precision Engineering we are determined to invest in the future and maintain our place at the forefront of engineering prestige in the UK. We take pride in our heritage and the fact that after 40 years we are still in business, still with the same excellent reputation as a company that always delivers the highest quality. We want our clients to know that when they work with us they are getting only the very highest quality components, created to the most exacting industry standards and approvals. ● Marquis Precision Engineering holds ISO9001:2015 approval. ● We also work to ITAR regulations. ● We hold customer specific approvals, most notably customer specific aerospace approvals. ● The suppliers we work with for commercial materials and treatments hold ISO9001 approval. ● Our aerospace material suppliers hold AS9120 approval and aerospace treatment suppliers hold NADCAP approval. ● We monitor our suppliers and their performance and have an approved supplier list. This means we have our own controlled supply chain and we are happy to work to additional customer requirements. ● On the packaging side, we work to ARP1176 guidelines. These give guidance on cleaning and packaging of oxygen components for aerospace requirements. ● For commercial components, we work to customers’ requirements, including the requirements for clean rooms. ● Other regulations we work to include RoHS and REACH compliances. ● We also ensure we give our clients a full written first article inspection report to AS9102 standard.